Search engine marketing services in 2019. How to find the best? Are you looking for a reliable company that provides search engine marketing consulting services and can help your business earn its place in search engine results? Need advice on how to plan your search engine marketing efforts for 2019 to appeal to a wider audience online? In this article, we are going to take a close look at search engine marketing. Read on to learn about the key steps in developing search marketing campaigns and how an experienced search engine marketing consultant from professional search engine marketing services can help you do it right and achieve the best results. We will also discuss how to develop an effective search engine marketing strategy. Let’s get started. Search marketing refers to the methods of gaining traffic and visibility from search engines when internet users search for terms related to your business. 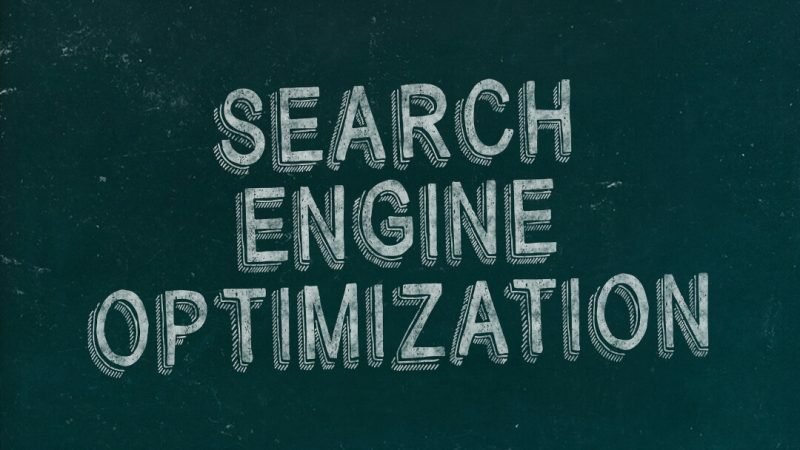 Search engine marketing strategies typically encompass using organic search techniques (SEO) and paid methods, like pay-per-click ads (PPC). With paid SEM or PPC, you buy listings in the sponsored area of a search engine. You pay to show your ads to internet users who are actively searching for the specific keywords that you are targeting. Paid advertising puts your ads in front of motivated customers who are ready to buy. PPC advertising can be inexpensive if you do it right and the key to success is writing a great ad that targets your market. If you lack knowledge and experience to manage and adjust your PPC ads, a good idea is to hire a search engine marketing expert from a reputable search engine marketing consulting company who will help you get the most out of your money. For most companies that rank well in SERPs, it’s the result of solid effort in one or in both categories of search engine marketing. Do you need both SEO and PPC for your business? No. But you will definitely get more leads and sales if you implement both tactics. Keep in mind that SEM is just one of the many online marketing tools available to your business. Analysis – define your target audience, review your company’s position in the market, identify your competitors, analyze what they do, what marketing tools they use, and how you can outperform them. Strategy development – define your company’s competitive advantage, set specific goals, and identify benchmarks that you will use to measure the success of your search engine marketing efforts such as search ranking, website traffic volume, conversion rates, and other metrics. An experienced search engine marketing specialist can help you choose the right metrics that will help you track and improve your search marketing. Execution – optimize your site for organic search and create content that provides answers to questions that people actually search for. Make sure the content is clean and clear for search engines as well as readable and interesting for the customers. Attract quality links to your website. Promote your website in other ways to make it more important in the eyes of search engines. When implementing your search engine marketing strategy, you can benefit a lot from managed search engine marketing services. Keep reading to learn why. Why Would You Need Managed Search Engine Marketing Services? Search engine marketing or SEM can be a great investment for your business. Search engine marketing is one of the most effective digital marketing tools nowadays which consistently outperforms other marketing techniques for return on investment. SEM is the most effective way to promote your products and grow a successful business in an increasingly competitive marketplace. It helps you target your potential customers at different stages of the sales funnel and offer them the information they actually need. But developing and implementing effective search engine marketing strategies can be time-consuming and costly to do yourself. And the world of SEO and PPC is constantly changing. It’s not easy to keep up to date with changes in trends and algorithms and change your website to meet the newest requirements. The easiest way to get the better ROI from your search marketing efforts is to hire experienced search engine marketing specialists. Our search engine marketing service can handle everything for you. You are looking for results, right? Extrabrains can give you more than other search engine marketing consulting companies on the market because we combine fundamental marketing and sales knowledge from our experience in some of the biggest corporations of the world like L’Oreal, Danone, and Philip Morris with extensive digital marketing, entrepreneurship, and startup experience. We can ensure better results for our clients because we understand your business and can suggest effective tools that offer a great return on investment. We can support the entire spectrum of search engine marketing strategies. Our experienced and skilled team of search engine marketing specialists will work hard to make your website rank higher in SERPs and put it in front of the potential customers. We will create high-quality content that is useful to customers and use our experience to measure how different marketing methods can impact the success of your campaign. Our experts can provide you with high-quality managed search engine marketing services that can help you establish authority in your niche, increase brand awareness, reach new customers, get more traffic to your website, and increase conversions. Want to run SEM campaigns but are not sure whether you should focus on organic or paid search or take advantage of both approaches? There are a lot of things to consider: your marketing objectives, your budget, the amount of traffic you need and review all the pros and cons. Hire a search engine marketing expert who will help you choose the strategy that is right for you. A professional search engine marketing consultant can help you take the journey from analysis to results faster and more effectively. Here’s how Extrabrains search engine marketing specialists work and what they can do for you. Our search engine marketing specialist will analyze your current market to get a better idea of its specifics. We will conduct a competitive set analysis. Our search engine marketing expert will identify the direct competitors that you are facing in your niche. Experts from our search engine marketing service will perform an analysis of your competitors to determine their strengths and weaknesses. They will identify what marketing strategies your competitors use and how these strategies affect their business. We will find out what works and how you can overtake them. We will conduct customer research to identify customer segments, needs, motivations, and behaviors. We will determine their pain points to help you understand how your products can serve your customer needs. Our search engine marketing consultant will identify your current position vs the competition and customer expectations within the market. Our search engine marketing specialist will perform a keywords research to understand what your potential customers actually search for. Experts from our search engine marketing services will use all this extensive amount of data to build a strategy that will bring you to your objectives and help you grow your business. Search marketing is critical for business growth so you need to develop a robust and comprehensive search engine marketing strategy to maximize the potential of search as an acquisition channel. Search engine marketing strategies are always custom-made and represent a detailed document that takes you through the essential steps your company should take from the analysis that is necessary for developing a successful strategy to the results you want to achieve. Start with an analysis and planning. An analysis is the starting point. It gives you the good understanding of where you currently are vs your competition. Carry out market and competitor research. Identify the weakest areas of your competitors and think how you can outperform them. Get to know your target audience and their purchasing priorities and requirements. Estimate your budget and set up strategic and measurable goals. Create a strong unique selling proposition that will differentiate your product or service from its competitors. A truly compelling USP is a cornerstone of your overall marketing strategy. It can help you stand out from all the noise and attract the attention of your potential clients the right way. Develop the sales funnel scheme. Remember that search engine marketing starts with user intent. Everyone who uses Google search is looking for something so all users have a specific intent within the current context. When you target a keyword, you need to understand the user intent and the context that is behind the search to anticipate their needs. Think at which stages of the funnel you can get clients with different intents and how to drive purchase decisions and encourage repeat purchase from first-time buyers. Think about marketing automation. The tools are used within the developed sales funnel and can help you guide your customers from leads to client status. Marketing automation software allows you to automate repetitive tasks, streamline marketing workflows, reduce human error, and measure the outcomes of your search engine marketing campaigns. Create a content plan. Make a list of possible topics based on relevant keywords that will attract the estimated traffic volumes. Make sure that your content meets your brand’s goals and engages your target audience. You need powerful content relevant to your brand to earn your customers’ loyalty. You can use different ways to add value to your content and make your audience care about it: educate your potential customers with useful information, inspire your audience with stories that appeal to their emotions or entertain your audience. Make an additional action plan depending on the market and competition. It can include link building, PR, social media content generation, and promotion. Link building is a must if you want more search engine traffic. Backlinks are one of the top 3 ranking signals in Google’s search algorithm. Just keep in mind that Google focuses on link quality. The basic goal of PR is to get an engaging message in front of target customer groups. A well-planned online PR strategy can create a buzz, drive targeted web traffic, and get high search engine rankings. Don’t ignore the power of social media and create a social media content strategy. You should make efforts to capture the interest of your target audience by publishing engaging content in their network. To choose the right social network to focus on, you’ll need to create a “follower profile” and pinpoint your perfect customer, taking into account their gender, age, education, and career background. As you see, effective search engine marketing starts with a detailed analysis, goes through precise strategy, and lands in the perfect execution. The process is very time-consuming and requires taking into consideration hundreds of details. Extrabrains’ search engine marketing service is a good choice for every business that is looking to increase their exposure in search engine results. We use our extensive experience in search marketing to draw up an effective strategy which will work best for your company. Contact us to learn how our search engine marketing specialists can help you get your website to the top of the search engine results.